crystal for 1st and 2nd………. 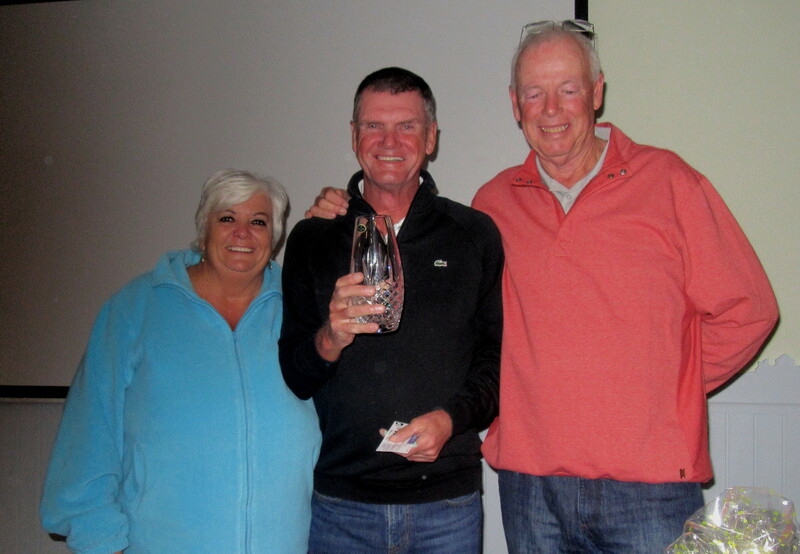 This week we had 48 players for the quarterly special event sponsored by Paul Culligan. Paul can’t always make it here for his competition, but he was here this week. However, he had to go to the airport mid-round so couldn’t complete. 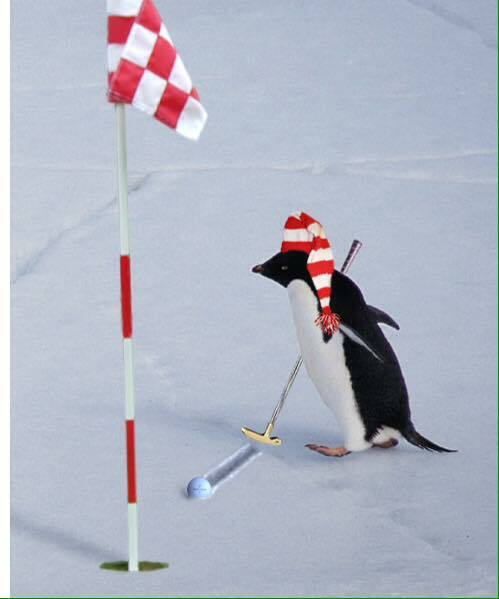 Perfect golfing conditions, but only one below par. 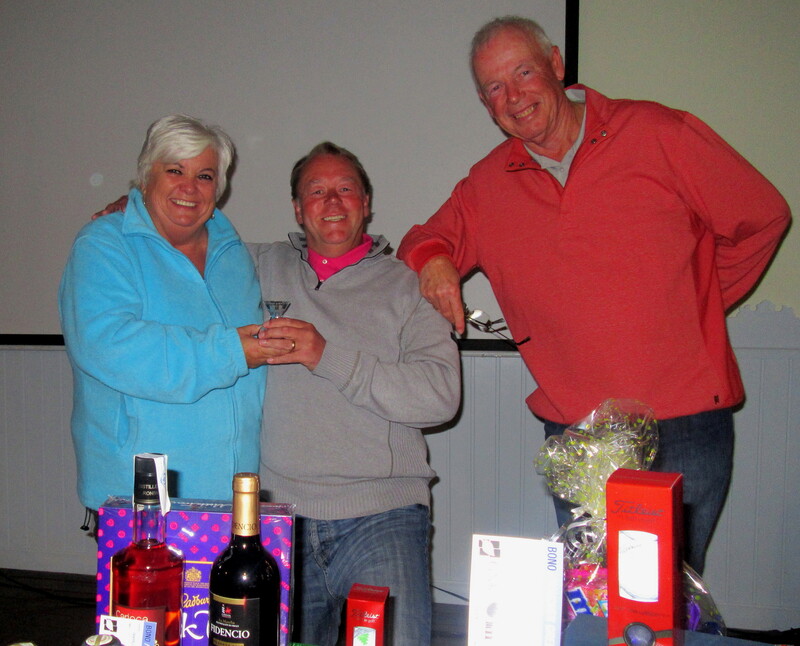 Tom Toner’s 38 points was enough to take the trophy, with Paul Harrington taking the runner-up prize. 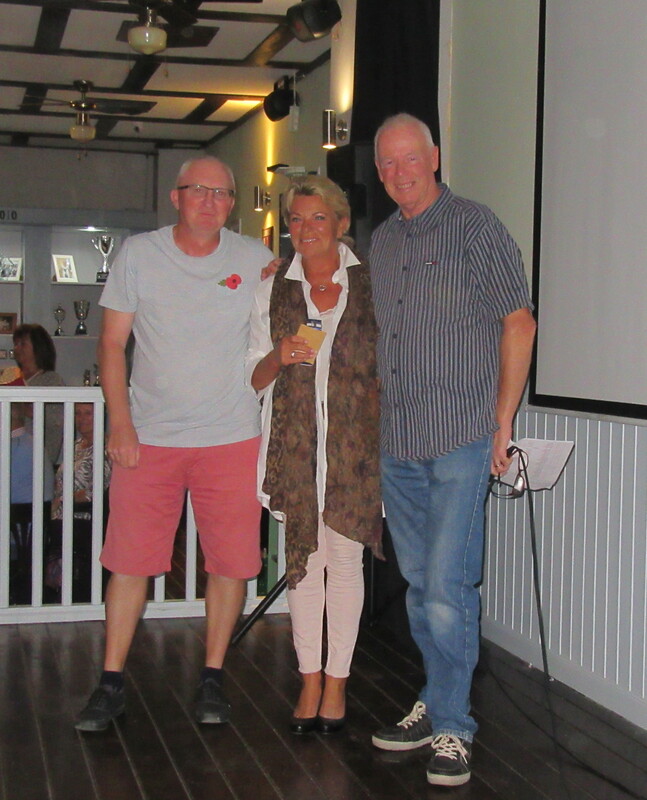 Thanks to both Lynn Simpson and Alicia Saunders for acting as starter – Lynn also doubled up as vice captain at the presentation as Phil Cooke couldn’t make it. Ken thinks his putter is bent – must be some reason why it didn’t go straight…………………. 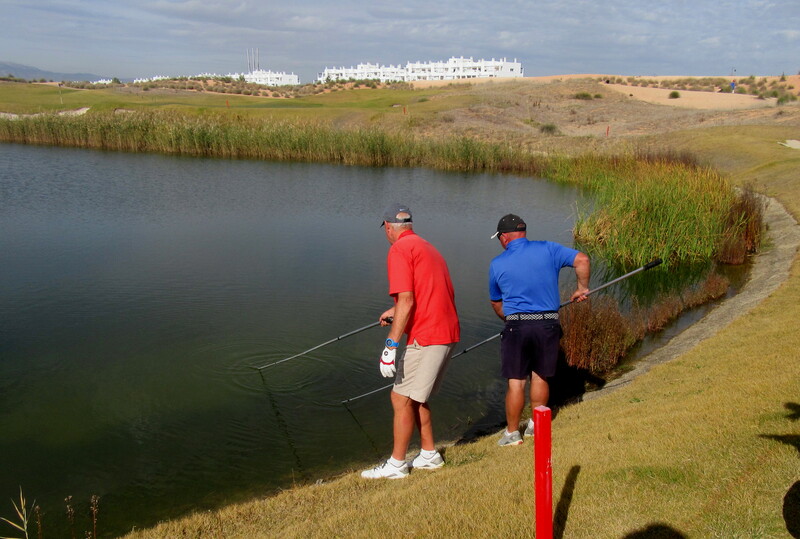 No, Enrique – Ken and John aren’t emptying your lake of fish – they’re looking for my ball on 18……………..
Next week is a 4 person team, 3 to count each hole. 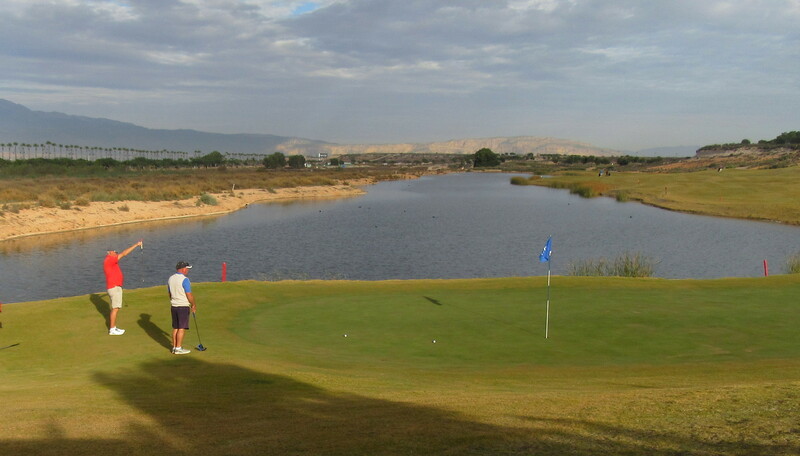 Also it is December, so green fees drop to only 37 euros (with buggy or walking). We should be grateful for the wonderful November weather at Condado – not so good at my course in Huddersfield this week…………. This special event sponsored by Kevin was a 4 person team, with 2 scores on the 1st 6 holes, 3 on the 2nd 6 and all to count on the last 6. We had 12 teams and Kevin just failed to win his own competition. 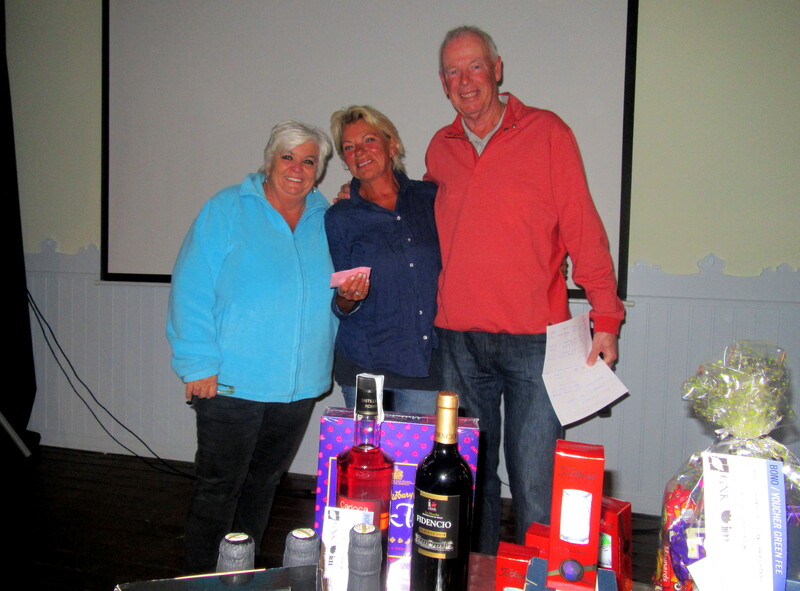 Thanks to Dave and Kim Lloyd who volunteered to go out last so the could do the starter’s duty. just proves that the lowest handicappers don’t always win…………. 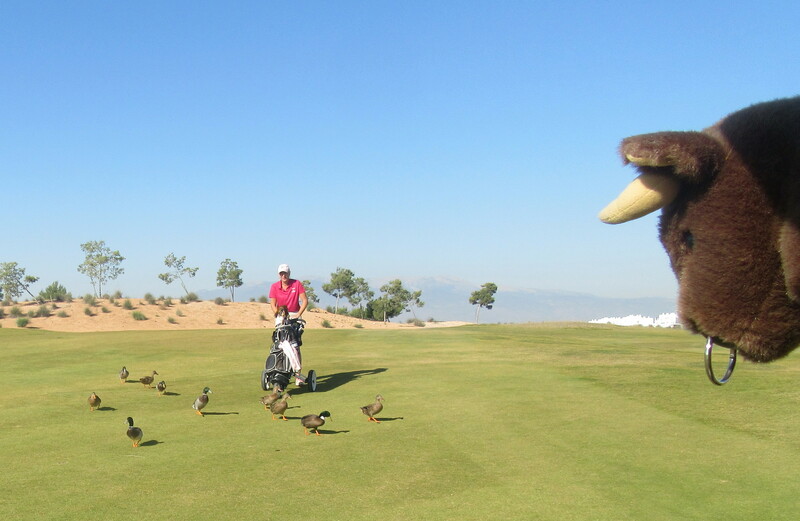 these are the best golfers, but still finished 2nd………..
Out on the course we encountered a pack of friendly ducks – or were they just hungry? This family of mallards only seem to have arrived this year and are competing with the coots for residence on the lakes. 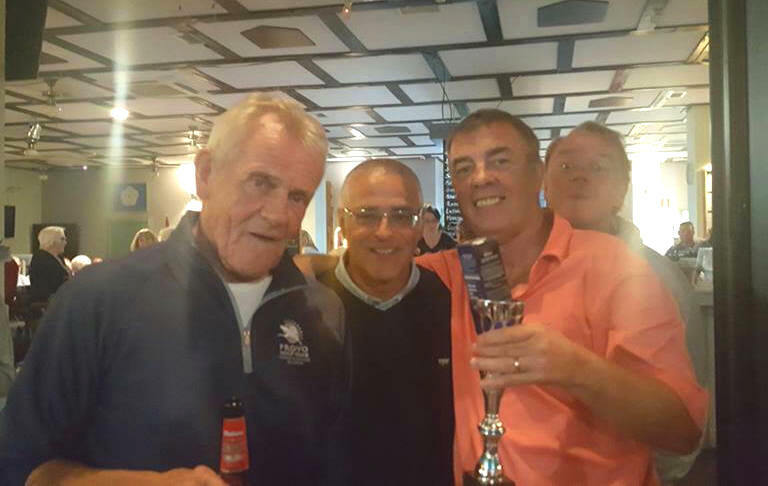 On the 11th Paul Harrington’s team were delayed as they could not putt with about a dozen ducks between them and the hole…………….and when a putt was missed, they all joined in a loud cackle! a real wildlife sanctuary – we now have a bull on the loose!…………..
our team may not have been the best golfers, but we were the smartest dressed………….. This week Ken Saunders and Phil Cooke met up with the owner of our course, Enrique Herrero to discuss how the year has gone and talk about plans for 2018. Enrique lives in Valencia, so it was good of him to visit us. During the meeting he mentioned that he would be sending us an invoice. He had noticed on the blog (which he reads every week!) that we have recently been killing his livestock – birds and rabbits. Last week The Captain and Vice-Captain held an informal meeting with Enrique Herrero the owner of The Condado de Alhama Golf Course. 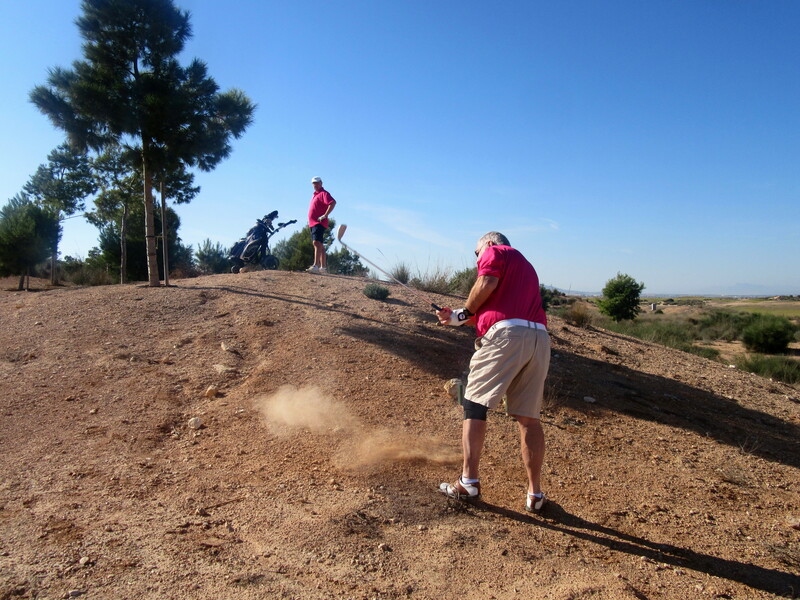 The feedback from the members was that course was in very good condition, with the exception of the sand bunkers. Mr Herrero agreed to pass our concerns to the greenkeeping staff. 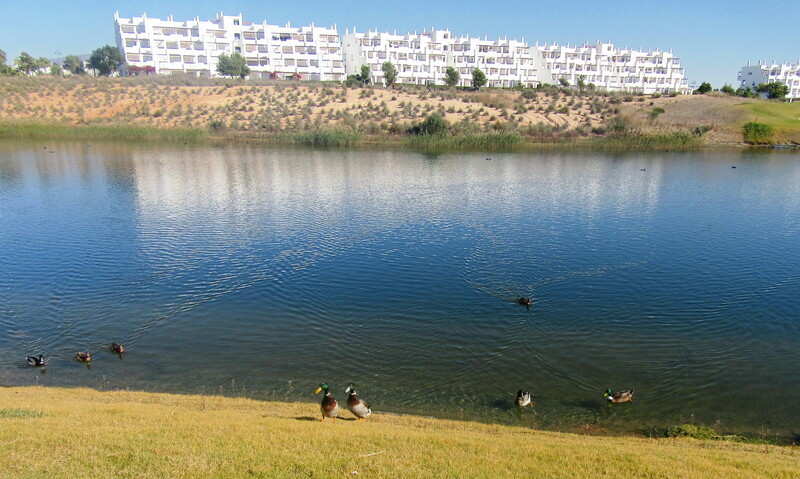 Mr Herrero informed us that he was committed to keeping the course lakes full of water, but added a note of caution by explaining that the water was supplied from desalination plants and as the region was suffering a severe drought, more production from the desalination plants was being directed to treated water, making future supplies to the course unstable. Mr Herrero informed us the program of replacing the old buggies is still ongoing. With regard to buggy fees, we were informed that the pricing policy had been reviewed and a simpler tariff would be introduced in the New Year. Also, the one year buggy contracts are to be abolished. 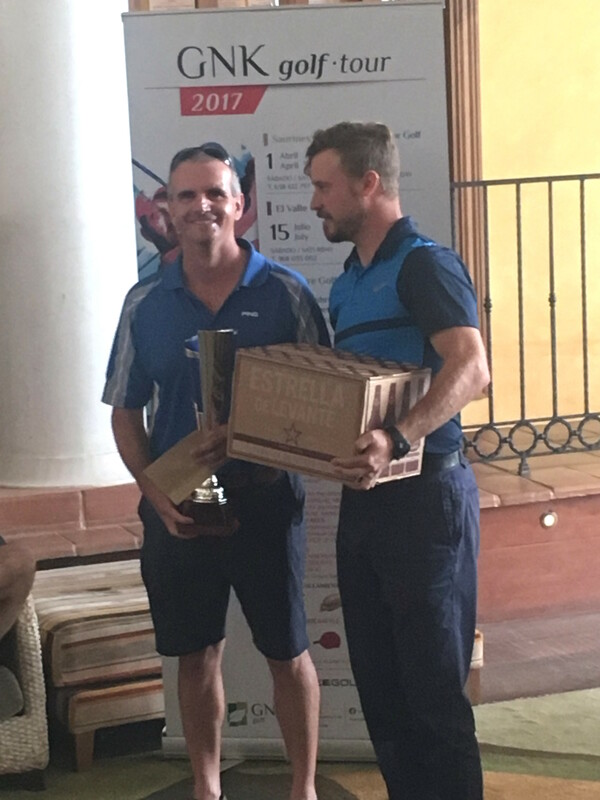 On behalf of the Society Mr Herrero was thanked for supplying the hole cup decorations and the commemorative flag on the 18th hole. Mr Herrero expressed that GNK could provide the same for other major events. Mr Herrero was asked if the society rates for green fees are to be increased, he replied that there are no plans at present. .Also, the pricing structure for the course memberships had been reviewed and a new membership tariff would be announced in the New Year. Mr Herrero expressed his opinion that the relationship between the Society and GNK was very good, and the society was an extremely important element to the business structure of the Alhama course. He found that the informal meetings we have to be useful and wished to continue with them in the future. 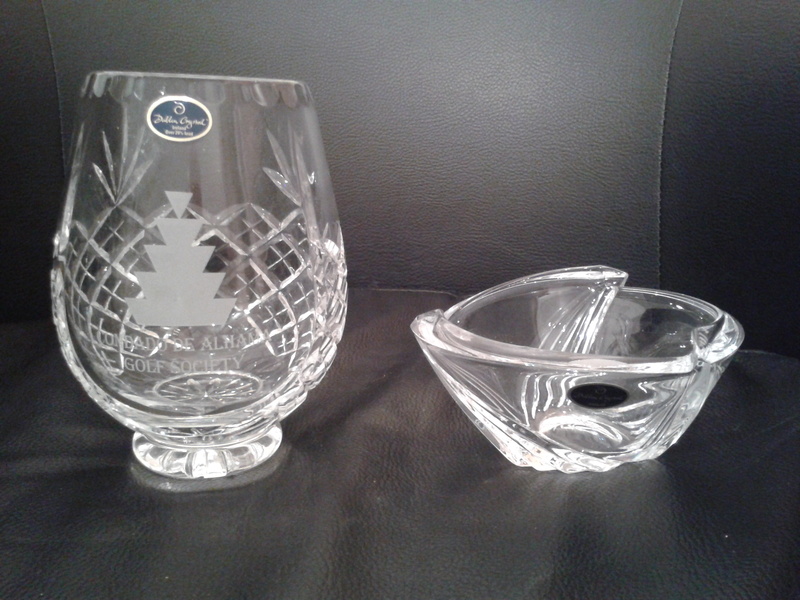 Next week is the last Dublin Crystal event of 2017. No wildlife was harmed in the making of this video………………….. 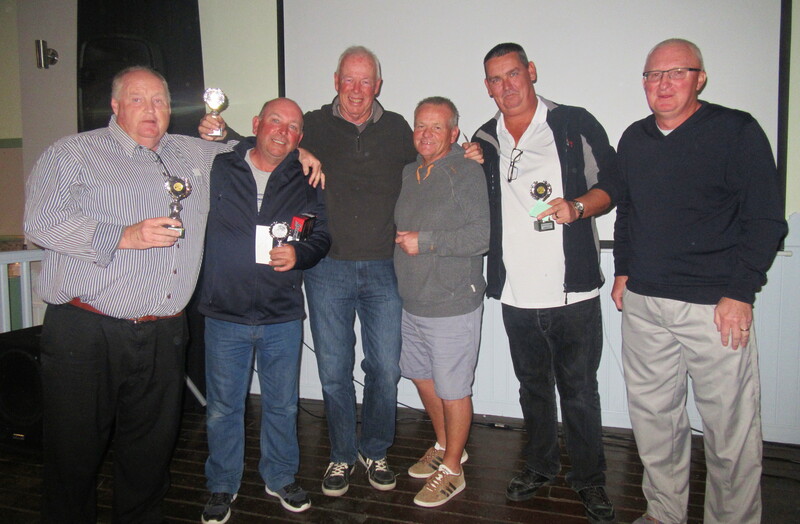 I was away golfing in Benidorm, so thanks to captain Ken Saunders for the report. The day started off cool and windy but by the afternoon players were back to tee shirts again. Thank you to Martina Alwell for doing the starter. 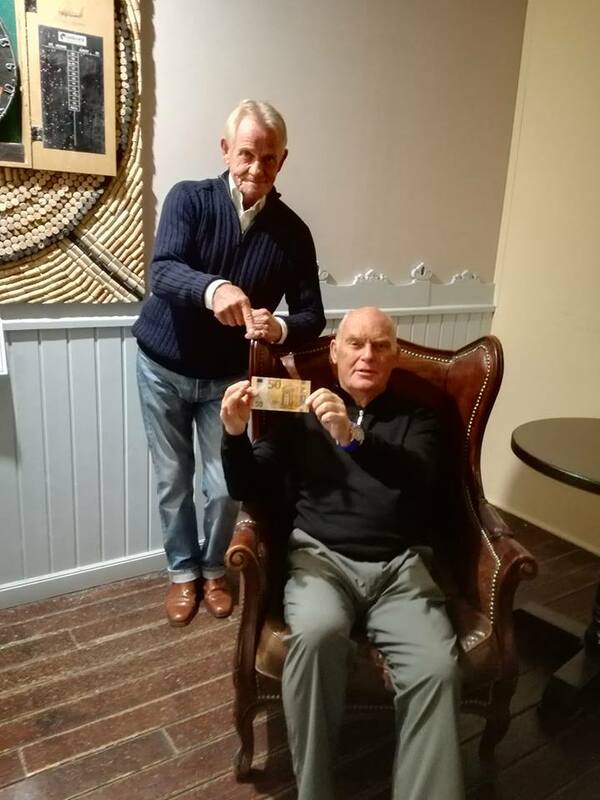 Husband Jim took the first prize with partner Peter Beatt – nice to see them both back in the winners circle after both experiencing the lows of golf – a funny old game! There were 27 teams and there were only 12 points separating the scores. Four teams had the same points for 2nd– 5th places so countback took effect. Milt (Keith Miller) went to the waters edge on the 4th to reclaim his ball but unfortunately lost his footing and went fully submerged into the lake. Whilst swimming around he decided to retrieve his lost ball, however it turned not to be his. He eventually dried out about hole 13. 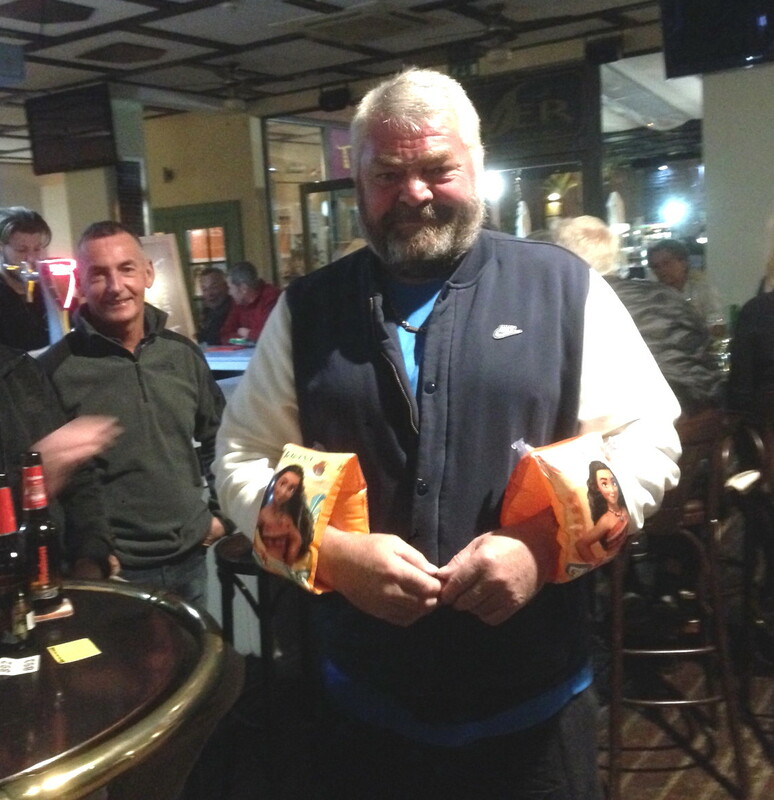 Ken presented him with a pair of water wings during the evening presentation. don’t think they will keep him afloat………………..
Last week a duck was killed by one of the committee, this week Vice Captain Phil Cooke killed a rabbit. Watch out wildlife! Next week is the Kevin Smith Team Challenge – Best 2 scores holes 1-6, Best 3 scores holes 7-12, All 4 scores 13-18. 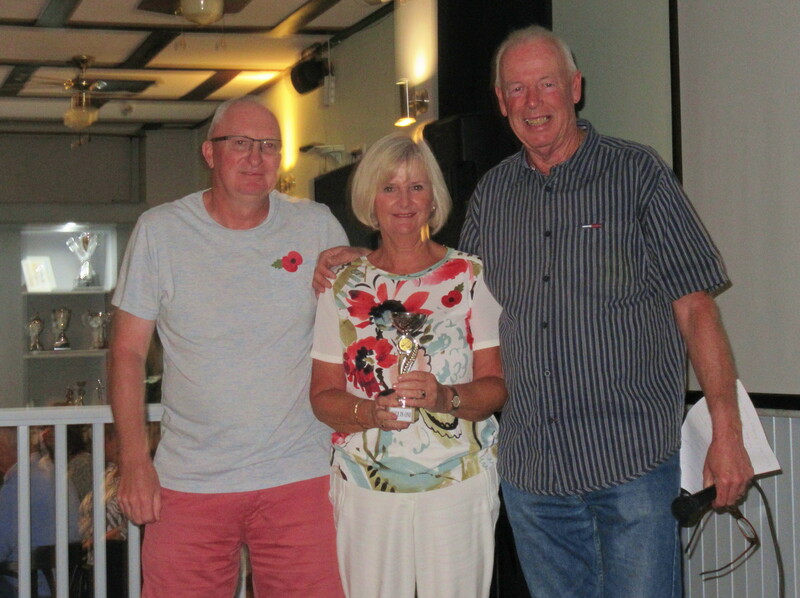 Congratulations to Lynda Lloyd, who apart from winning most weeks has achieved every golfers’ dream – a hole in one! She holed out on the par 3 3rd. Name on the honours board!. 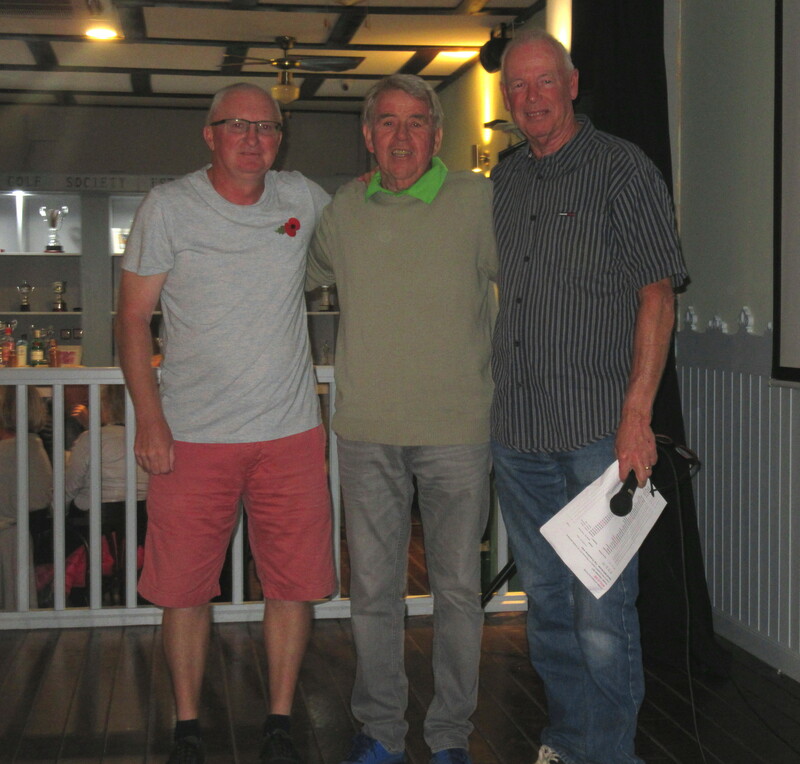 66 players for the 11th Apollo air stableford played in very kind conditions – no wind, and the sun only popped through a couple of times, so not too hot. Many good scores, but nobody could match the 42 points of Anthony Keating, who claimed his first Apollo Air. The penultimate game of the annual Apollo Air championship saw Chris King gain one point on the leader, Kevin Smith, and now they are tied on 222pts. A couple more who are just a few points behind with one to play, so an exciting finish! (see ‘best of series’ link on the results section of masterscoreboard). Again, thanks to the two Liz’s, Whyte and Beaton for acting as starters. and a good score from Ellen…………………..
As usual there were a few twos, but one was unbelievable – Fran Thomas holed his second at what most players think is the hardest hole on the course, the par 4 10th. 400 yards over water, avoid the big fairway bunker, then uphill to a contoured green over more bunkers – usually most settle for a point! Well done Fran, you deserved your special prize. Not everyone plays it so well – Alicia Saunders just cleared the water with her drive (lucky?) but her drive hit a duck and killed it – unlucky for Alicia who lost a few yards, but I don’t think the duck would have been too happy? Good luck to our representatives in the Aguilon Ryder Cup against Spain (Paddy McKee, Nigel Howson, Bob Witty and Pat Whitty). In 8 years Spain have been beaten only once – maybe this year?. 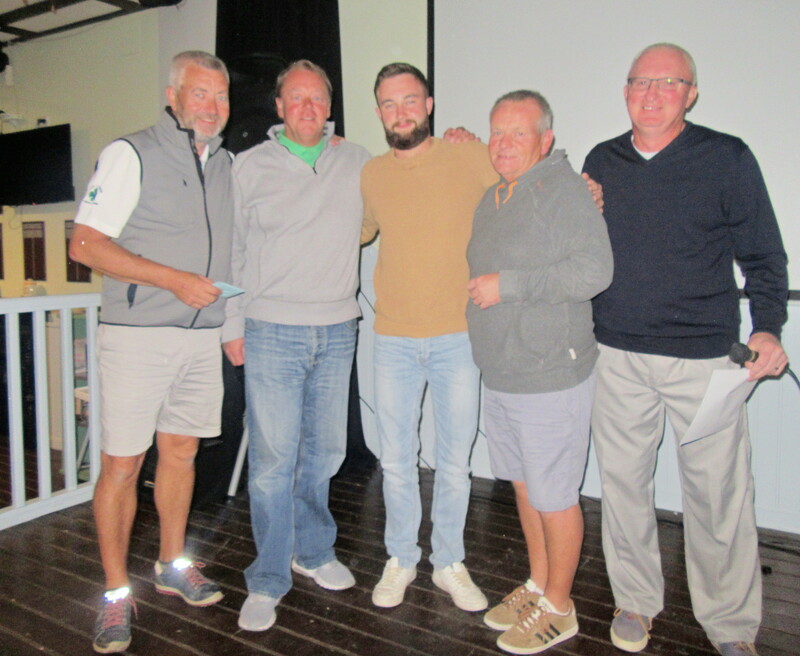 GNK have a monthly competition on the 6 course circuit, with the winner receiving family membership at all courses and the runner-up getting an individual membership. 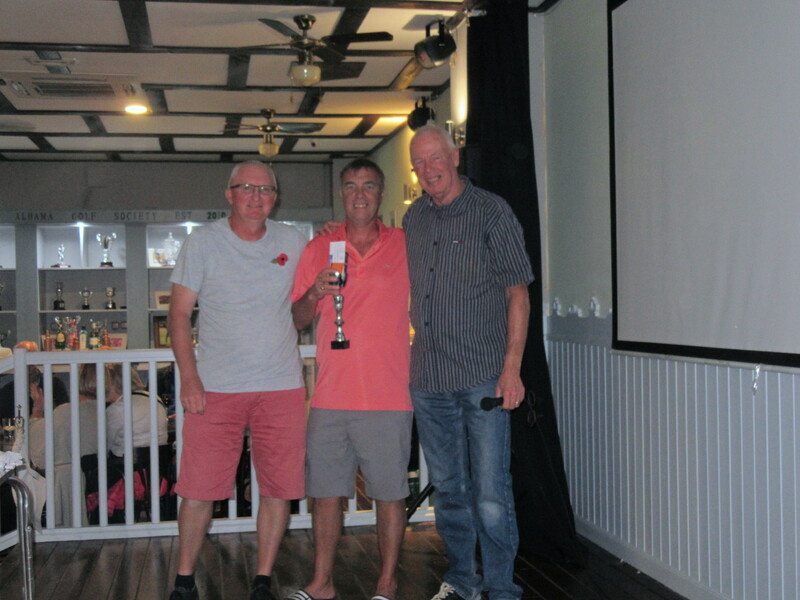 This week Dave Lloyd was attacking from 2nd place overall, but it was Chris King (lying in third) who produced the round of the day, scoring 40 points and winning leg 5. 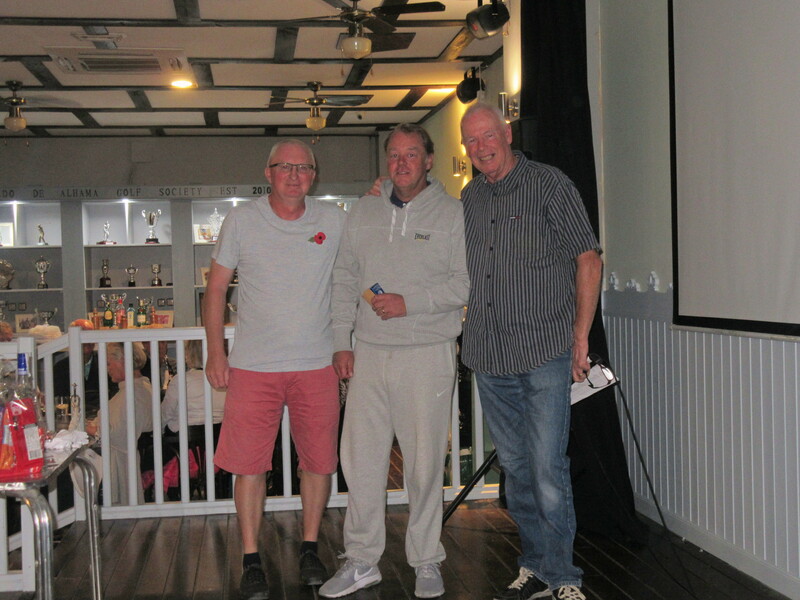 Double points (for the winner only in the last competition) means that it is wide open – good luck to Chris, Dave and Chris McAllister (who finished in 9th place on Saturday). .Next week is a pairs stableford event.